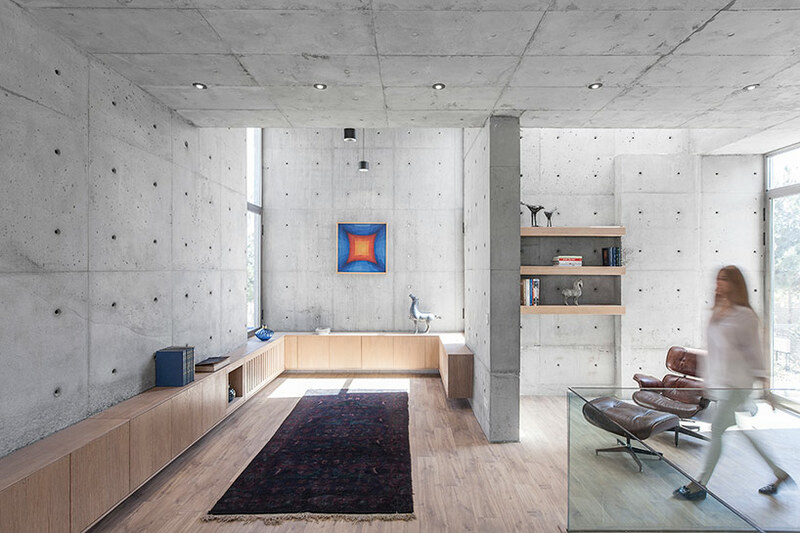 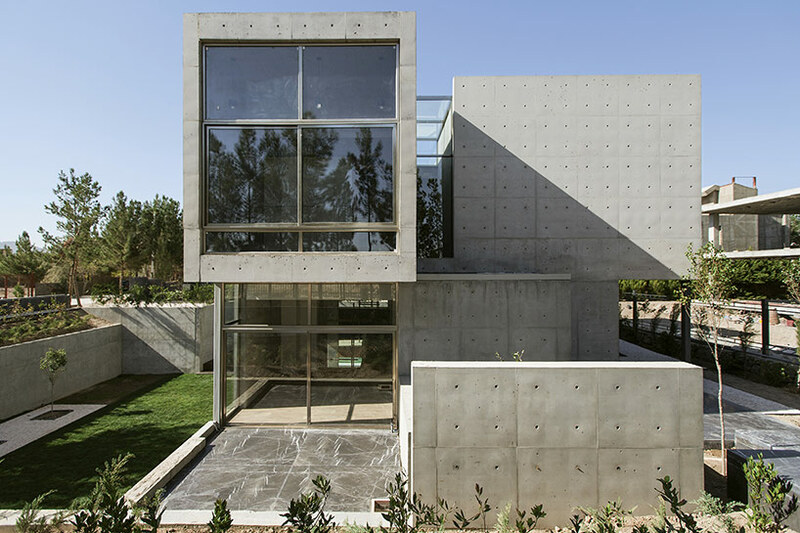 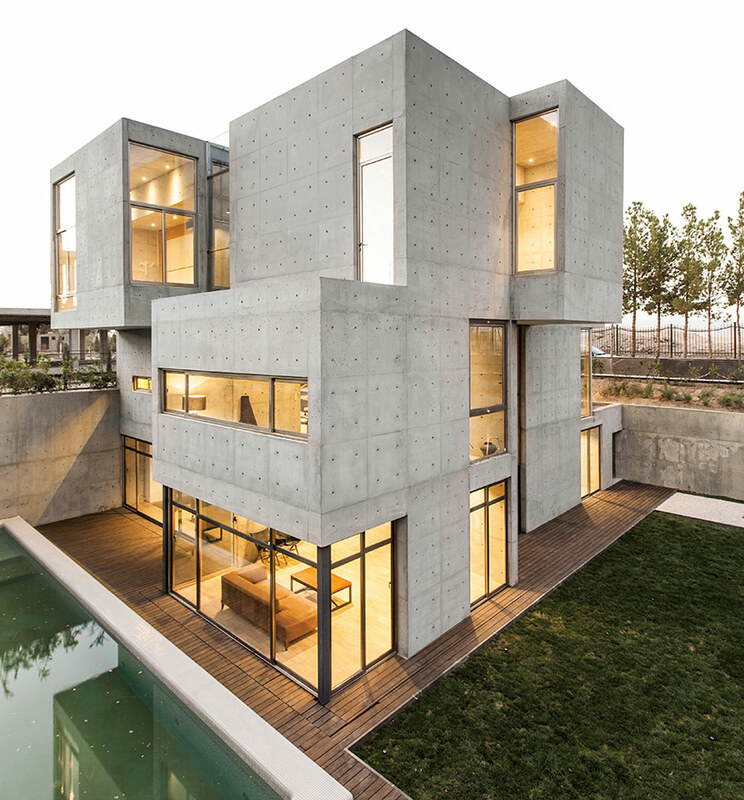 Iranian architect Shervin Hosseini of Bracket Design Studio has recently completed the concrete-cast villa 131 in Urban Isfahan, Iran. 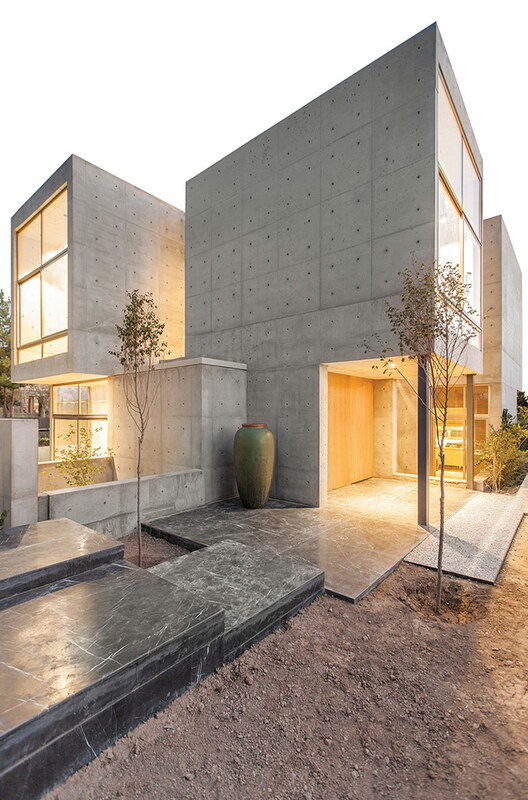 The city itself is historically known as a garden city, a characteristic which waned under the increasing development and chaos that accompanies urban growth. 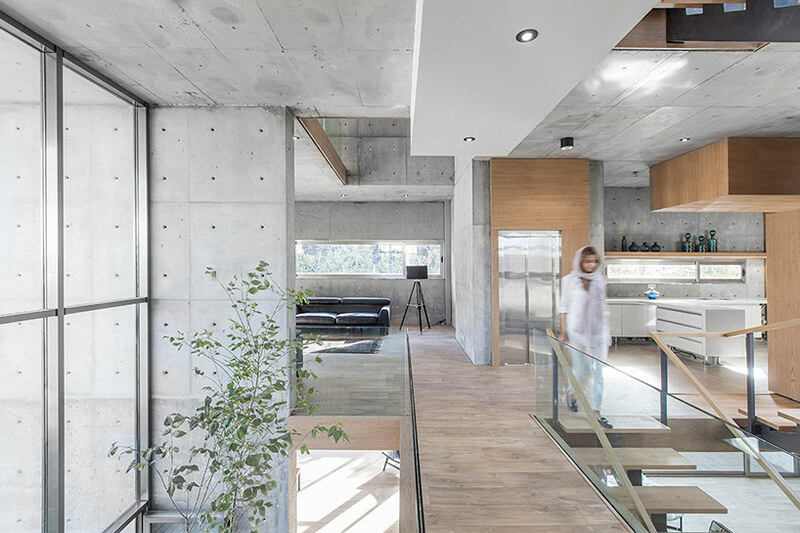 Within this context, a slew of zoning restrictions limits the buildable area and envelope of the structure which challenged the studio to revive the garden culture in a contemporary environment. 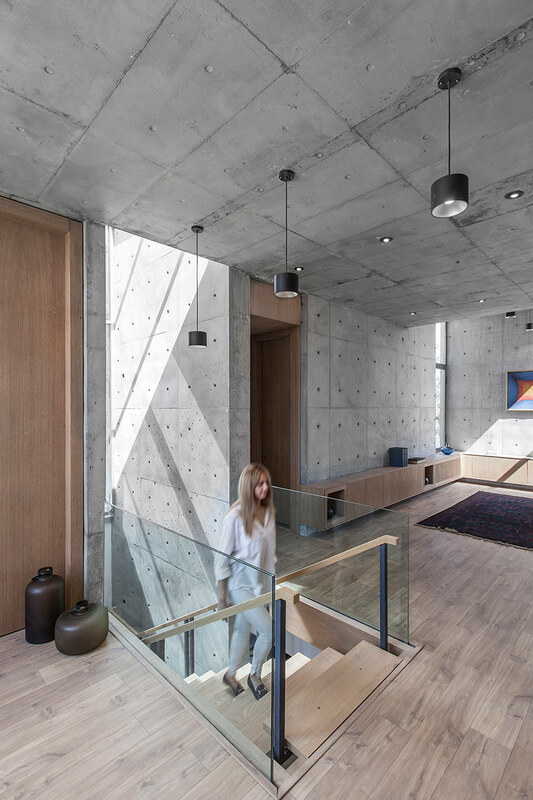 As a result of local ordinances, bracket design studio created a subterranean level in order to gain the required floor area for the client. 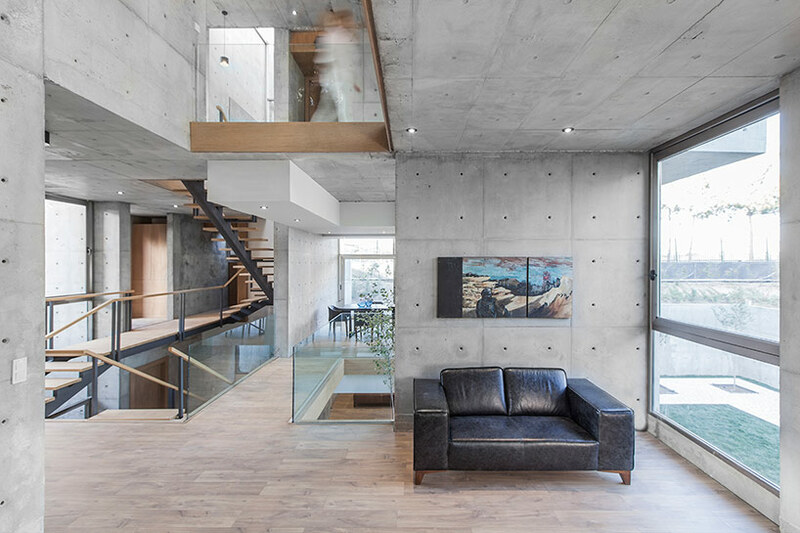 The basement continues through the exterior forming a sunken yard space enjoying naturally privacy, acting as a natural sound buffer between the road and the house. 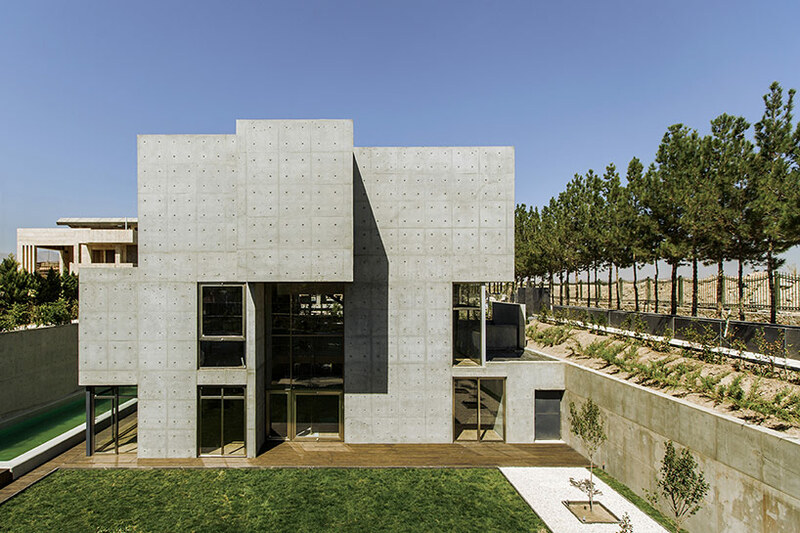 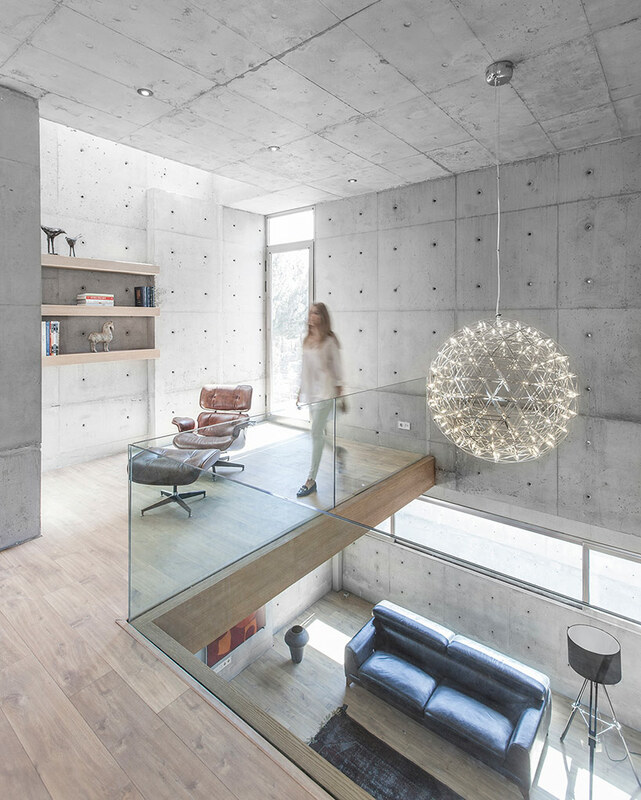 The concrete structure itself exhibits a balance of solid and void, understood as a series of stacked cubes creating interstitial spaces that act as balconies, courtyards and light wells. 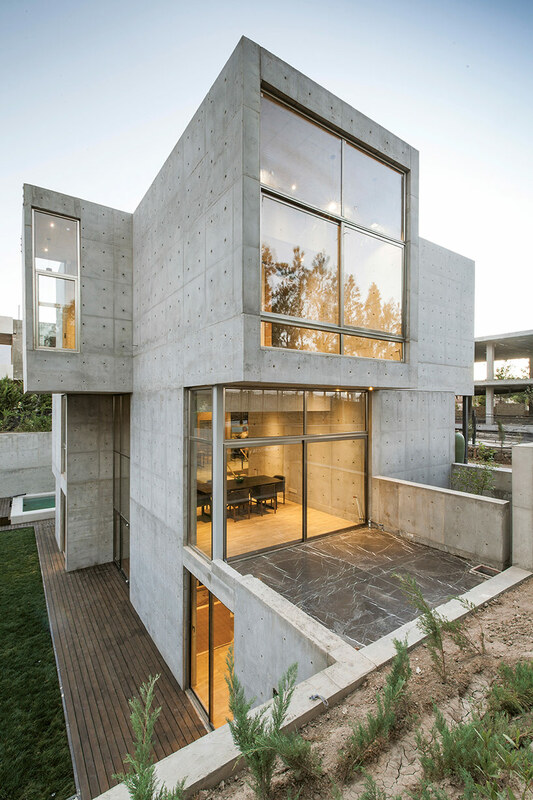 All fenestration takes form of full height glass partitions that dissects the facade and lets plenty of natural light to the interior. 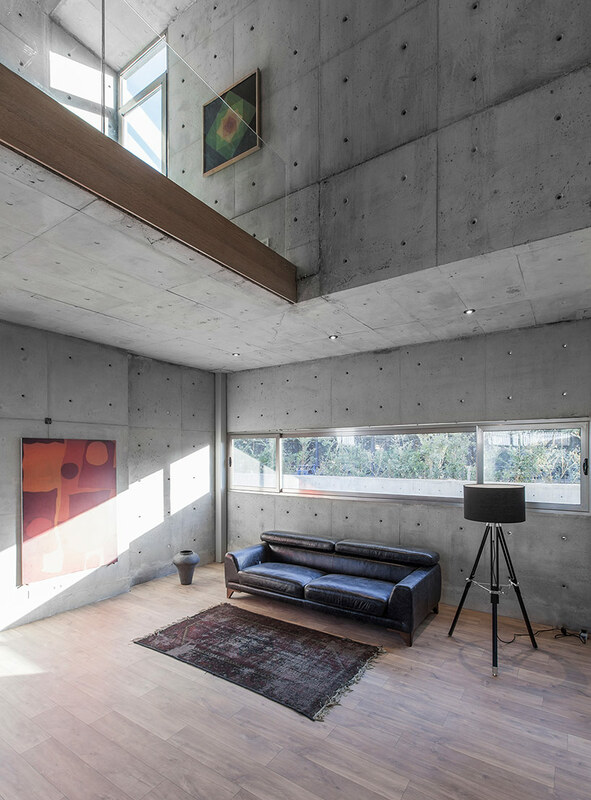 On the inside, the same material palette defines the walls and ceilings. 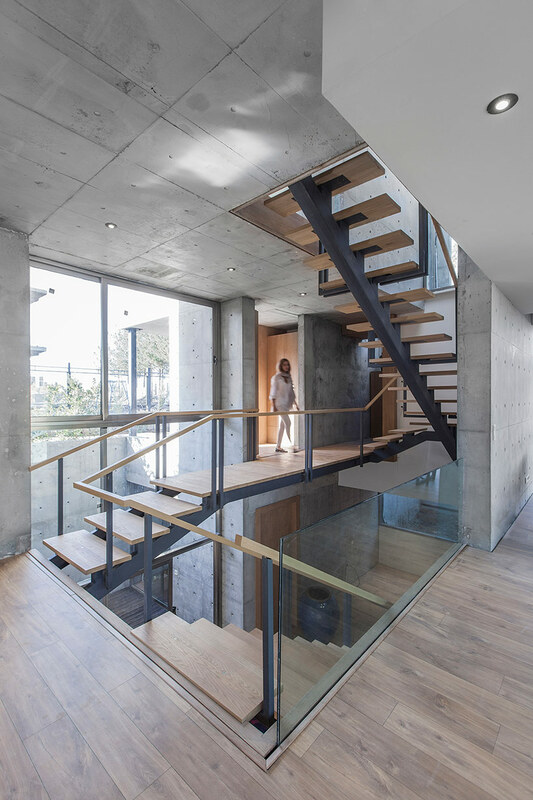 Hardwood floors and stair treads offset the hardness of the concrete in texture and feel while slender steel elements form monorail stairs and bridges that remain visually subtle. 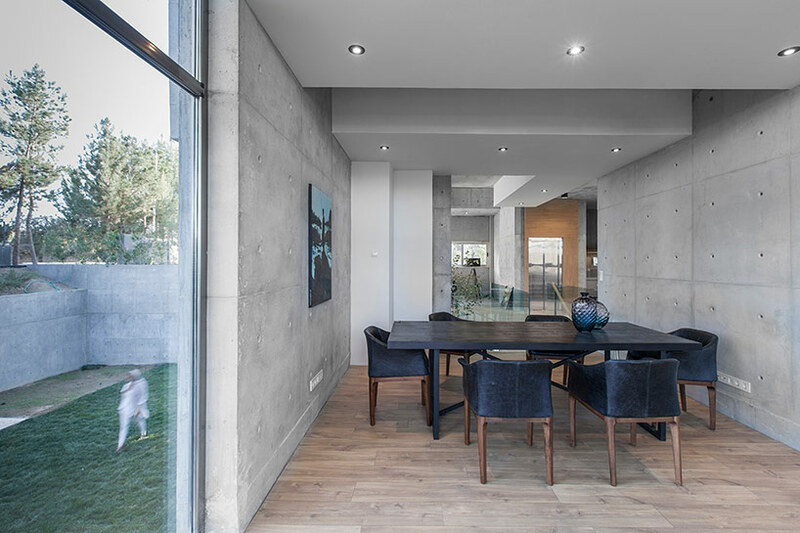 From every space, light and views from the sunken yard can be enjoyed from at least three various sides of the home ensuring constant natural light – openings are carefully designed to provide the appropriate privacy from specific angles.